Warby Parker, a startup eye glass company, has stopped in Portland’s Pearl District. 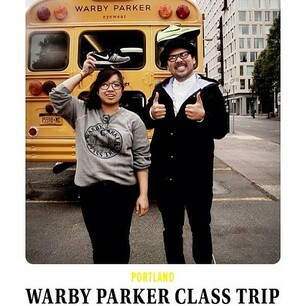 The company started a campaign, “The Warby Park Class Trip,” where the team travels around in a bus to bring the company’s showroom experience to life. The bus stops in nine cities, and Portland was selected as one. It’s currently parked at NW Park Avenue at Glisan Street in the Pearl District, and will be in town until June 9th. 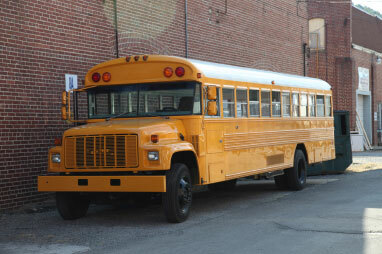 The bus is school-bus inspired. Everything from yellow painting, leather seating, to vintage books — the bus is flashy in of itself. However, the bus is nothing compared to the entire collection of Warby Parker eye glasses. Experts wait to assist you with picking your eye glasses out. Warby Parker glasses are made of high quality materials, and come with everything you need standard. There’s no silly add-ons during checkout. The company also strives to give back, with its, “Buy a Pair, Give a Pair,” program. For every pair of glasses sold, they donate a pair to someone in need.